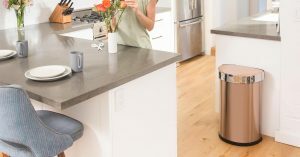 A trash can is one of the most important items to have in your house. 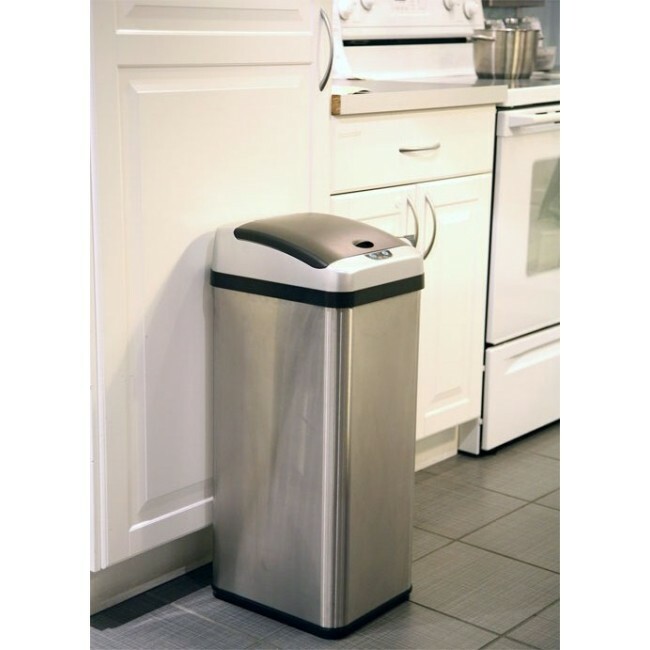 Since it stores and accumulates most of your garbage, it gets easily contaminated with germs. A touchless can is a more hygienic choice in the market plus also very easy to use if you have both hands filled. You will simply need to either wave your hand or debris in front of the sensor then it will open automatically. 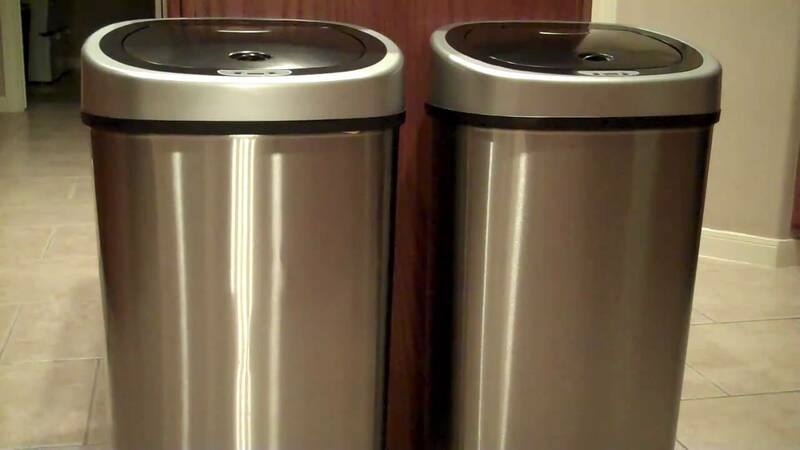 Here are touchless trash cans you can try out. It comes in four different colors which are brushed stainless steel, dark bronze, rose gold and white steel. It has adaptive sensing which adapts to you and the environment hence reduced false triggers and unexpected lid closures. It also has a liner pocket which stores and dispenses liners from the inside. The stainless steel is also protected from fingerprints. i) No option to plug it in. You will need a large number of batteries. ii) Stopped working after a couple of months, even with new batteries. It is one of the highest rated touchless trash cans on Amazon with a star rating of 4.4. It has water resistant infrared motion sensor detectors. The energy saving technology in it is claimed to keep battery life 20% longer. It seals odor in hence eliminated cross-contamination. Has a large capacity hence perfect for large families. i) Issues with the lid opening after a year of usage for a small number of customers. 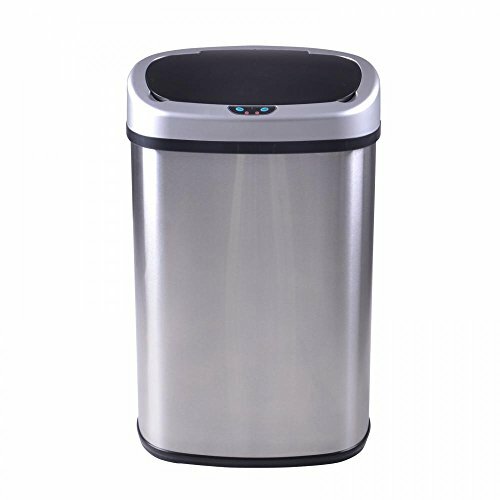 This is one of the best seller trash cans online. 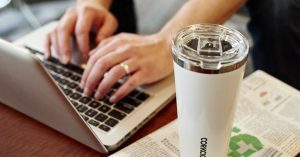 It has a unique Reflx quick open technology which is used for the quiet lid opening and prevent unexpected lid closures. It has a carbon odor filter to eliminated odor naturally. You will need 4 D size batteries to power it or you can use an AC adapter which is sold separately. Its capacity is 49 liters/13 gallons. iii) Doesn’t include the power adapter. This is a 13 gallon trash can powered by 4 D size batteries and doesn’t use ac adaptors. It seals odors in and eliminates cross-contamination of germs with touch free operation. The stainless tell body is anti-fingerprint. It has a star rating of 4.3 out of 5.
i) Does not come with AC adapter port. ii) Issues with the sensors opening the lid when not needed and not opening when needed.